I've lived out on Vancouver Island for nearly forty years. During that time I've spent a lot of time camping and hiking off the beaten trails. I've encountered my fair share of black bears here, but I have yet to see a cougar in the wild. So imagine my surprise when I was hiking nearby Todd Gowland overlooking Saanich inlet when I stumbled across this big scary-looking guy. 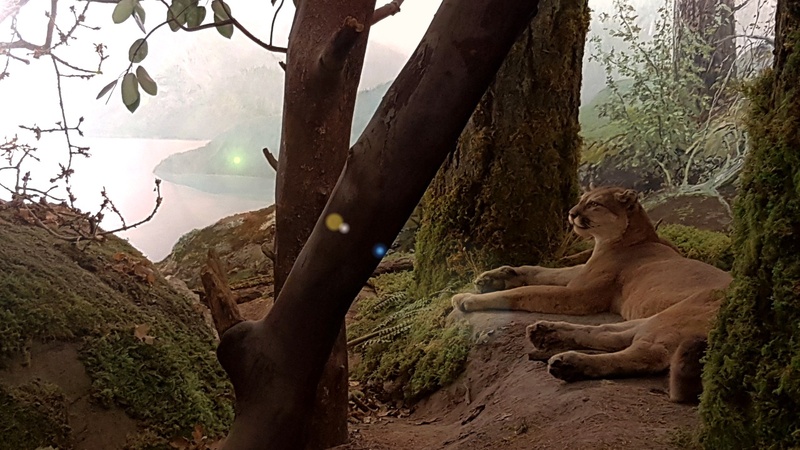 Okay, in the spirit of April Fools Day, I confess that this stuffed cat is on permanent display at our local Royal BC Museum. Sadly, this is probably the closest I will ever come to seeing a big cat in the wild.